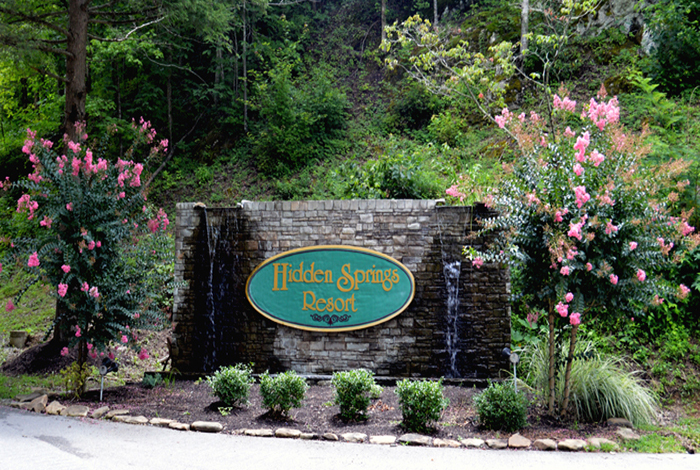 Located in the Hidden Springs Resort, "Show Stopper" is only 3 minutes from Dollywood, Dolly's Splash Country, and downtown Pigeon Forge. 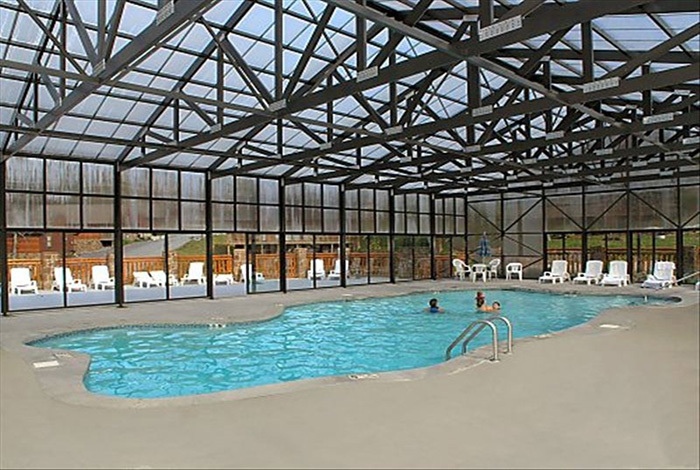 Hidden Springs resort not only offers a great location but also a year round indoor heated swimming pool. 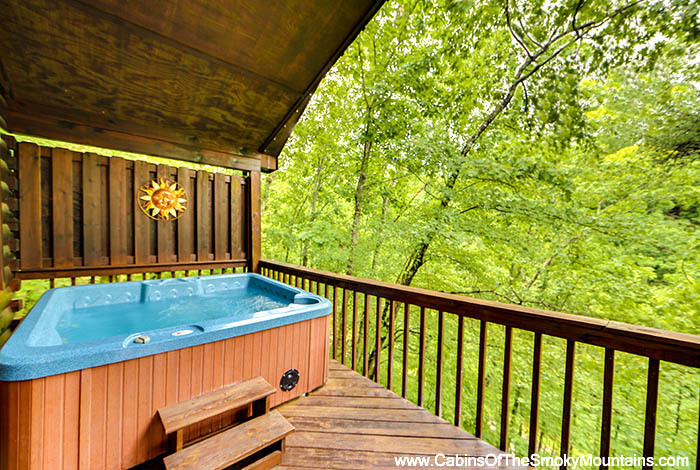 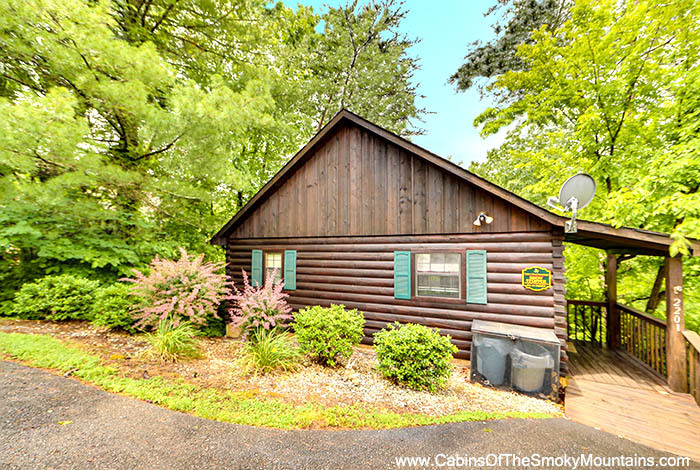 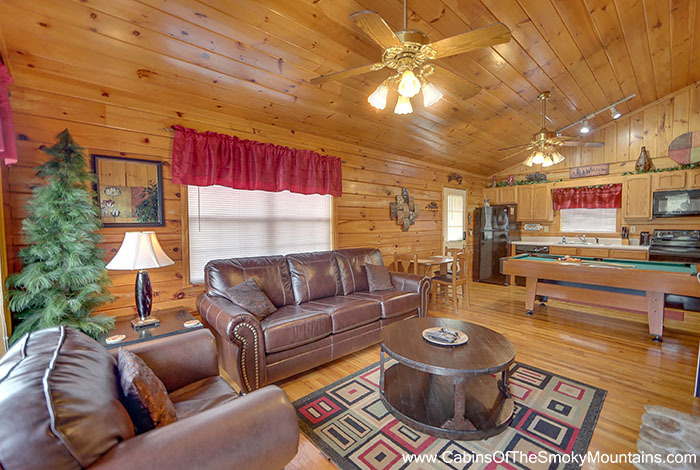 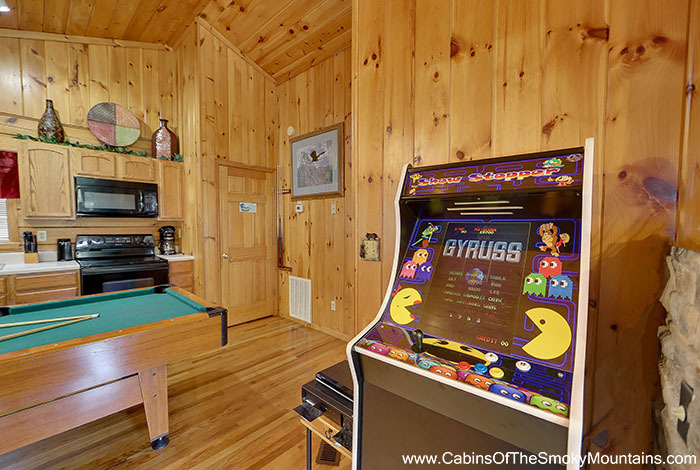 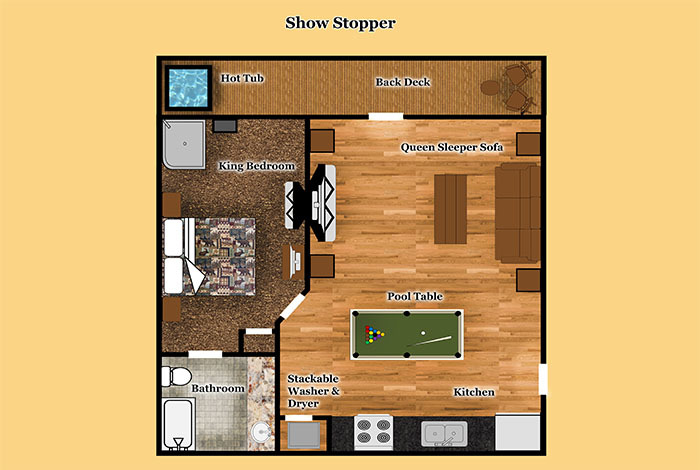 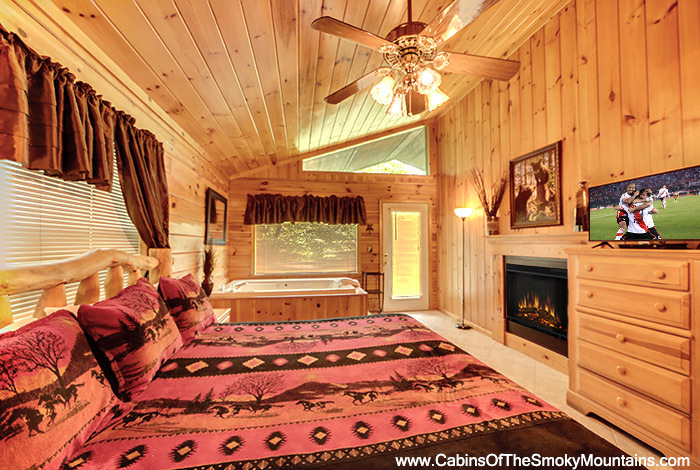 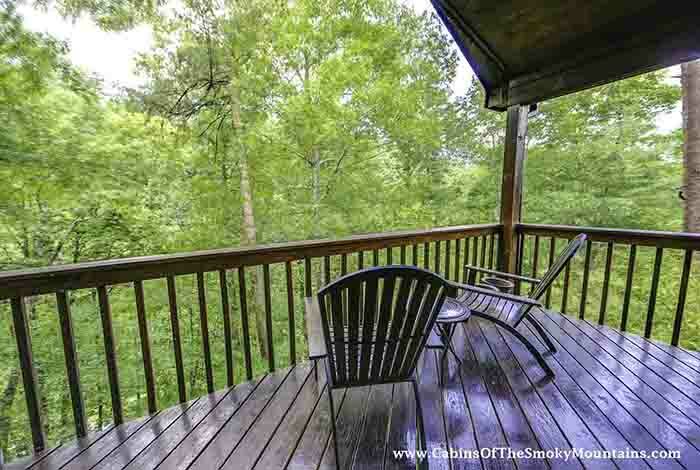 "Show Stopper" is a luxurious 1 bedroom cabin and is perfect for a romantic couples retreat, 2 couples, or a couple with kids. 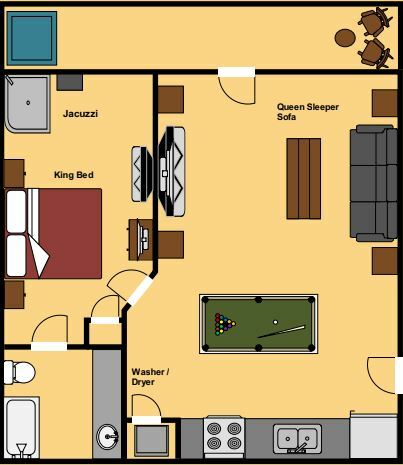 It offers 1 king size bed, 1 queen sleeper, 1 bathroom, 2 flat screen televisions with DVD players, High Speed Wireless internet in lobby, indoor large bedside jacuzzi, outdoor hot tub, private deck with no cabins below, and pool table. 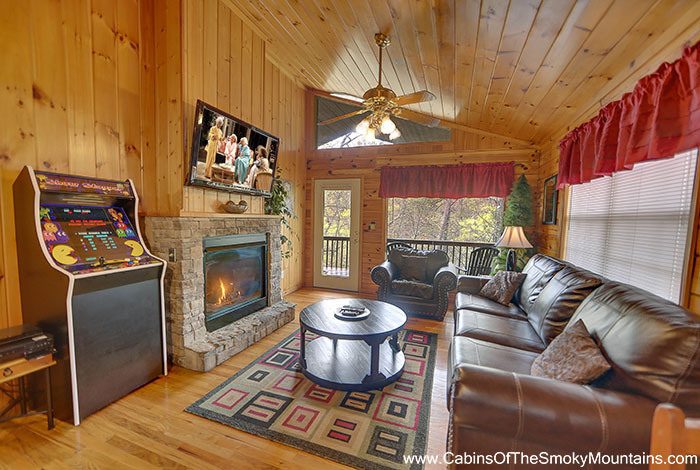 The living area features beautiful hardwood floors, a see-thru gas log fireplace, television with Dish network, a DVD player, and 50'' flatscreen tv. 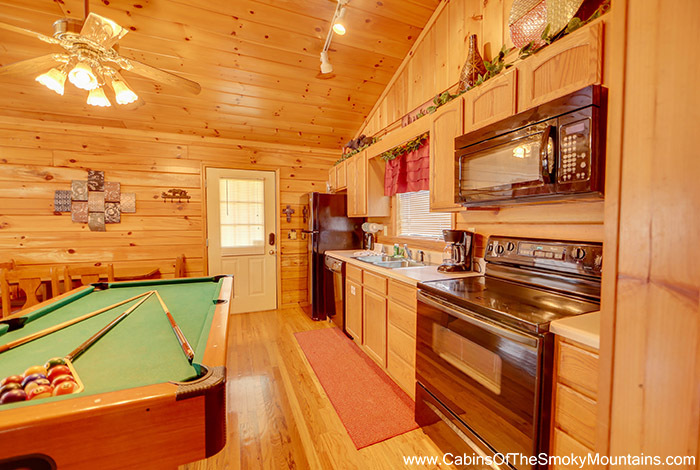 The kitchen is fully equipped and has all the necessities to cook a meal. 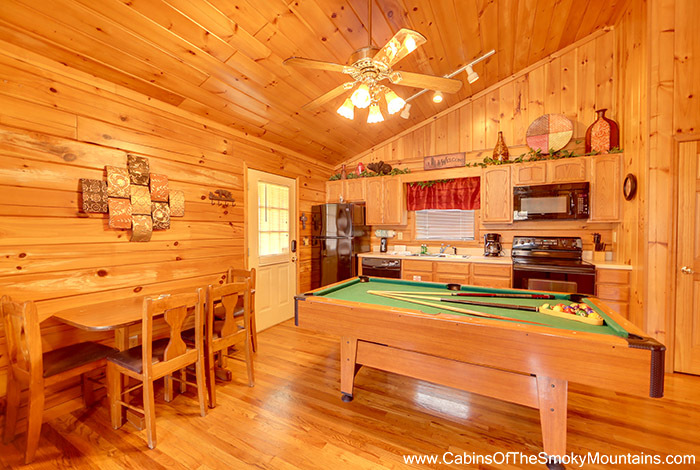 Enjoy this meal at the dining table which seats 4.